Online gambling didn't become the huge industry it is today in just one moment, it was a progression made over the years, and the same can be said for its affliction: addiction. In 1992, $2.73 billion was taken in by Canadian provincial governments. This revenue was made up of land based casinos, lotteries, non-casino slot machines, and video lottery machines. If we jump forward to today, this figure now stands at over $16 million. That is a massive increase and the figure doesn't include money spent by Canadian gamblers at offshore online casinos. Legal online gambling in Canada is still seen as somewhat of a grey area. The provincial governments control and regulate online gambling, but it is still legal to gamble at offshore international sites. Many of these international casinos are using servers that are hosted in Kahnawake. Having studied the statistics provided by the Canadian Gaming Association we were shocked to see that Casino gambling in Canada actually takes in more revenue than TV and movie rentals which is reported as being $10.3 million. Casino gambling in Canada is now taking in more revenue than television and movie rentals. Online casinos offer gamblers more chances to win bigger jackpots and their payout percentages are much higher than land-based operations. In fact, many online casinos have payout percentages of 97% or higher. This encourages more and more people to access online casinos and this is what has led to the growth in gambling addictions and problem gambling. The Institute of Marriage and Family in Canada produced a report in March 2012 titled, Government--gambling's biggest addict: Profligate spending feeds government gambling addiction, in which it was stated that the provincial governments in Canada are addicted to gambling revenue in the same way that they are addicted to tax revenue1. The report also alleged that the provincial governments were also addicted to gambling and references were made to the building of new land based casinos as well as the government's expansion into online gambling. The report claims that the provincial governments are protective of their territories and their gambling revenues and this could very well be true especially when we look at Quebec's ISP Blocking law2. Statistics Canada reports3 that approximately 3% of Canadian adults are affected by problem gambling. The statistics also show that nearly 70% of all Canadian adults have partaken in some form of gambling too. With approximately 26.6 million Canadian adults over the age of 20, 70% is a very high statistic. It equates to approximately 18.6 million Canadians gambling. If just 3% of these adults suffer from some form of gambling addiction or gambling problem that is 500,000 people that need help. This doesn't mean that 500,000 people have a gambling problem, it just shows an estimate of the number of people in the high-risk problem gambling category. It is also worth remembering that gambling problems don't just affect the person spending the money, the affect is much great and can involve family members and friends too. Before jumping into this discussion, it should be pointed out that a problem gambler isn't someone who loses too much money. They may have won a lot of money too. Online casino gambling addiction can affect you whether you win or lose, and it is a mental health issue that runs deep. Online casino gambling addiction can affect you whether you win or lose. Problem gambling can take over a person's life and indeed their entire world if left untreated. It can get in the way of work, family life, social activities, study, and more. It can affect all relationships and damage reputations. It is and can be a very serious problem and not something that should be ignored. Yes, the spinning reels and the possibility of hitting the jackpot can steal the spotlight, but what problem gamblers fail to see is that those table games and online slots take the focus away from the things that really matter in life. The wins and losses found at online casinos can affect your mood, cause you to lose your job, and create immense problems with friends and family. If the losses incurred are too great, problem gamblers can lose their homes, savings, cars, and in some circumstances their families. Gambling can and should always be fun. There is nothing wrong with playing casino games at a land-based establishment or an online casino like PlayNow or EspaceJeux. If you find that you continuously want to gamble and play casino games there might be a problem. Below are some signs and symptoms to watch out for. You're entire focus in on gambling and playing casino games. You've started lying to friends and family about the amount of time and money you are spending on online gambling. You have extreme mood swings, highs when you're winning, lows when you're losing, and you are constantly chasing the high. You're spending more and more money at the online casino in the hopes of winning and feeling the excitement that came with the very first win. The only thing that matters in your life is your gambling and you stop taking care of yourself and others. You've lost your job because of gambling, or you are spending your lunch break gambling. Even though online casino gambling addiction is essentially diagnosed in the same way as land-based gambling, there are a number of features of internet gambling that potentially make it much more addictive and dangerous. Online casinos allow gamblers to hide. Let's face it, if you spend a number of days at a land-based casino, multiple people would notice. With online gambling, you can play from the comfort of your own home, at work, and even on your mobile device without anyone being aware. It is convenient, and no one is watching what you do. It can also lead to players placing wagers after consuming alcohol or drugs, which are all factors that can increase the duration of time spent gambling and the amount of money spent too. With land-based casinos, if you feel you have an addiction or a problem, you can avoid them. With online gambling, the temptation is always there. Every computer with internet access is a portal to your obsession. Add in the fact that online casinos are always offering free money via no deposit bonus offers and that your banking information is only a click away, and the lure is almost impossible to resist. With online gambling, the temptation is always there. The most common trick applied by online casinos is to offer a "free to play" demo version of their games. You play for free, get comfortable placing bets with virtual money and, after a number of successful wins, it seems only logical to play for real money. What most players aren't aware of is the fact that the odds are in favor of the player when using virtual money but that isn't the case when playing for real money because the odds will always be in favor of the house. Traditional casinos can ban problem gamblers, which is great, but there is little to prevent gambling addicts from accessing online casinos. Online casinos do typically have policies in place to restrict access, and many will offer players the option to reduce their limits or ban themselves from gambling for a certain number of days, but the choice is up to the registered player. Even if you do get banned, you can simply sign up with another online casino. In a recent interview with Thomas Gagliano, a compulsive gambler and author of the bestselling book about gambling, The Problem Was Me, we asked him if he thought the numbers from various studies on gambling addiction seemed inflated. He said, "Not at all. With digital gambling today, you can lose everything with a few clicks of a button. Remember, gambling to the compulsive gambler is oxygen where they feel they can't live without it." We also asked if casinos have any incentive to identify and prevent problem gambling to which he answered, "Their goal is to make money, not to help the compulsive gambler." Have eSports and Fantasy Sports Encouraged Gambling Addictions in Youths? Online gambling and fantasy sports are becoming more popular and with easy access from computers, tablets, and mobile devices, daily fantasy sites like FanDuel and DraftKings have become the go-to sites for those seeking the adrenaline rush that comes with sports betting. Traditionally, participating in fantasy sports meant picking teams that would last the entire season. Now, daily fantasy sports contests are available and, with this, comes opportunities to gamble, therefore problem gamblers have multiplied. Many people are attracted to daily fantasy sites because they think that their sports knowledge can help them win. Many people are attracted to daily fantasy sites because they think that their sports knowledge can help them win. Daily fantasy sports are now a billion-dollar industry, but they are starting to come under scrutiny. The industry does not consider itself to be in the gambling business because it requires a certain amount of skill, however problem gambling is an issue that is being recognized, and FanDuel has trained staff in place to look for compulsive behavior by players and the number of contests a player can enter in a given period of time is limited according to their website. eSports, on the other hand, is one of the fastest growing and most profitable ventures available at present and it has caused quite a bit of controversy this year alone. There are millions of fans watching gaming events all over the world and more and more companies scrambling to get in on the action. eSports betting is an area that is growing just as fast with sites like CSGOLounge, FanoBet, and Vulcun arriving on the scene. In August 2013, Valve introduced weapon skins to CS:GO, which grew exponentially. They released new skin collections every couple of months and as the community grew so too did the demand for skins with many being sold for tens of thousands of dollars on the grey market. This gave rise to skin gambling and a lot of underage gambling too, including a Valve facing a lawsuit over illegal eSports Gambling and no more skin wagering at CSGOLounge. Underage gambling is bad, and when you consider the younger audience that eSports draws, it is clear to see that this industry does need to be regulated. We spoke to expert Tina Tessina, a licensed psychotherapist, about her opinion on fantasy sports and eSports and if she felt they were a gateway to addiction in adulthood to which she said, "I believe that addiction becomes a problem when there is inner pain that the addict is desperate to escape. When that pain exists, anything can become a threshold to addiction. When a person is comfortable with who he or she is, there is an internal limit on destructive behavior." We also asked her if she thought there was anything that could be done right now to prevent gambling addiction from channels such as eSports and fantasy sports, and she responded, "I think awareness helps. PSAs about the signs of addiction and what you can do to help yourself can be effective. Educating people on the norms of play, and what constitutes crossing the line will at least make them aware." There are numerous support programs for Canadians, not only nationally, but also provincially. Whether you live in Victoria or Halifax, from West to East, a percentage of yearly budget funding is spent on these programs. Get the help you deserve and may be in need of. For location-specific help, take a look at these Canadian Resources and get the help you deserve and may be in need of. This site lists websites as well as phone number contact information so that you can reach out any way you'd like. Most online casinos come with deposit limits, which is something that is very useful for those experiencing problems with online casino gambling addiction. New players will usually find that there are daily deposit limits placed on them. They may also be weekly and monthly limits in place. These can rise the more you play but you can ask them to be lowered if you feel you are getting into difficulty. Some casinos will also allow players to configure their betting limits and even ban you for a number of days. These programs can be very effective but the control lies with the gambler. Always remember that online gambling should be about fun and not money. 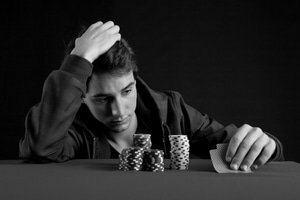 Below are some tips to help you avoid gambling addiction. Lower your daily, weekly, and monthly limits. Set a budget and stick to it no matter what. Set a time limit for you online gambling and stick to it. Be aware of the sign of gambling problems and get help as soon as you notice them. There is a lot of help and support available for people with online gambling casino addictions and it is not something you should be embarrassed about. See our list of Canadian support programs above and get the help you need before it's too late.